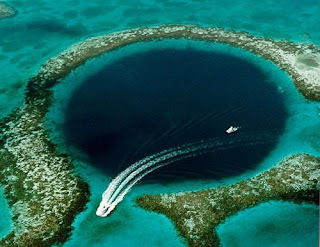 blue hole is situated 60 miles off the mainland of Belize .There are numerous blue holes around the world, but none as stunning (or frightening!) as this one. hi there, just visiting. have a good one.